Gerald Pratley, author of the film guide A Century of Canadian Cinema, has been writing on film since 1948. He is the recipient of a special Genie Award for his lifelong dedication to the promotion and support of Canadian cinema, and is a member of the Order of Canada. Cosmopolitan Toronto seems to offer a festival at least every week highlighting films from all over the world, and quite often these festivals get lost in the shuffle. Standing out from the pack further east in Ontario is the Kingston Canadian Film Festival. As truly Canadian as any, the KCFF is devoted entirely to screening Canadian movies over the course of its five days, and proves that when homegrown fare is made available, audiences respond. 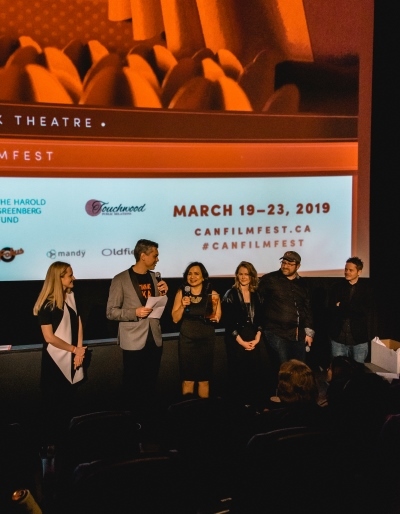 The festival – which wrapped its 6th annual edition on March 12 – was the brainchild of Alex Jansen, who had studied film at Queen’s University and also managed the local Screening Room rep house. ‘The rep cinema would be the one place where you would get the chance to see Canadian films, and [even still] we weren’t getting very much exposure to Canadian cinema there. And, then from an academic point of view at Queen’s, I loved the program, but I wasn’t getting the face-to-face time with the industry,’ Jansen says. So Jansen, now 28 and interacting plenty with the industry in his post managing home entertainment marketing at Toronto distributor Mongrel Media, launched the fest to bring Canuck films and filmmakers to Kingston. 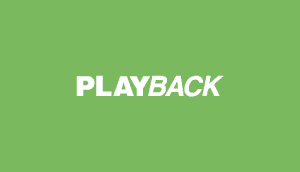 With a feature coproducing credit under his belt for 2001′s Walk Backwards, Jansen remains the festival’s consulting director, while Alison Migneault has taken over the reins as festival director. The festival’s 19 features (including three documentaries) and one shorts package were seen by a total of 5,000 attendees, with about half the screenings selling out. The festival opened with a gala screening of John Hazlett’s comedy These Girls. Quebec films were represented through the festival’s French Community Outreach Program, with titles including Luc Picard’s L’Audition and Bernard Émond’s La Neuvaine. The festival closed – in a free screening – with another Quebec favorite, Jean-Marc Vallée’s C.R.A.Z.Y., which recently swept the Genies and the Prix Jutra. These films are so popular with audiences and critics alike because, unlike many films from English Canada that often give little sense of place, they are firmly grounded in their Quebec setting. The opportunity for audiences to interact with filmmakers – another key to successful film marketing in Quebec – was also an integral part of this year’s festival. Michael Mabbott, director of the truly terrific mock-music documentary The Life and Hard Times of Guy Terrifico, which won the Zip.ca People’s Choice Award, was one of a group of filmmakers who participated in a panel that was part of the festival’s Local Filmmaking Initiative at Queen’s University, telling students and the public about making his first feature. Looking to inspire the next generation of Canadian filmmakers, the festival held craft workshops featuring directors Sean Garrity (Lucid), Paul Fox (The Dark Hours) and Brett Sullivan (Ginger Snaps 2: Unleashed); Jennifer Chen, manager of the Canadian Film Centre’s Flow Distribution; and performer Barry Blake (Elvis Gratton II). They led sessions on genre filmmaking, short filmmaking and acting, respectively. Forty aspiring thesps and directors participated in each of the acting and genre workshops, and 55 in the short film session. To further boost the profile of local filmmakers, a short produced by Kingston filmmakers preceded the screening of each feature at the festival. Despite these successes, the festival is experiencing screening challenges, with limited screen time available from its theatrical venues, including the Screening Room, the Empire Capitol 7, and the Octave Theatre. The films are programmed so tightly that there is much overlap and it is impossible for a filmgoer to see them all, which somewhat compromises the integrity of the People’s Choice Awards. However, the Grand Theatre, currently in the process of doing renovations, will hopefully be added to the list of venues in the future. The festival was a presentation of The Kingston Whig-Standard and Cogeco, with many of the event’s 25 sponsors being local enterprises, including Queen’s. Jansen says that next year, the festival is hoping to mount a retrospective of the films of Allan King, to commemorate the docmaker’s 50th year in the film business.